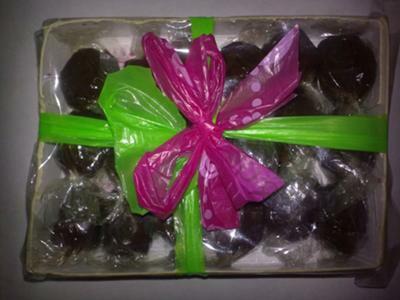 This is the chocolate cube candy (Tootsie Roll candy) I made out of my multi-purpose candy mold. I don't use a chocolate bar in my recipe, but kids love it. Unfortunately, ladyjhem doesn't want to share her recipe here on the website. I've written to her in the past (regarding another post she added for yema cube candy) and she seems to only want to sell the information I guess. 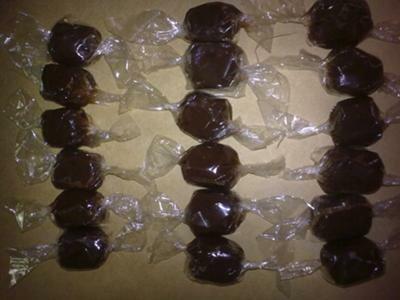 However, for those of you who are interested in making something at least similar to this, try one of these recipes for homemade tootsie rolls or even the chocolate yema recipe on the yema cube candy page that I added after doing a bit of research. I don't see why they wouldn't work just as well. You don't even have to own any molds. 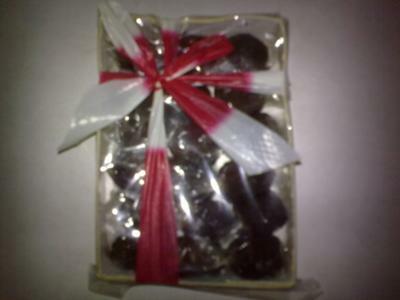 You can simply roll into ropes and cut into the size pieces of candy that you want, or if you are determined to have chocolate cube candy, pat it into a tray and then cut it into cubes or squares. 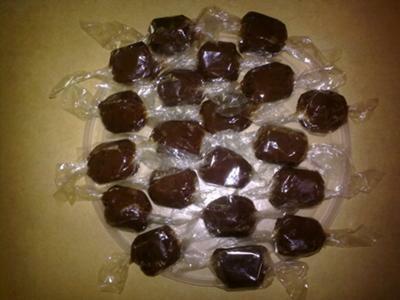 Does anyone else have a chocolate cube candy that they are happy to share the recipe for? Feel free to add it below using our comments link.